Every homeowner wants to know that their family, home, and possessions are safe and protected should the unimaginable happen, such as a flood, a wildfire, or an earthquake. While the technology to predict natural disasters is improving, they can still come out of the blue, with unstable weather patterns increasing the risk, and it simply takes one broken levee to cause a regional flood or soaring temperatures to spark a forest wildfire. It is important to know how to protect your home against such instances, so follow these top tips and enjoy greater peace of mind. 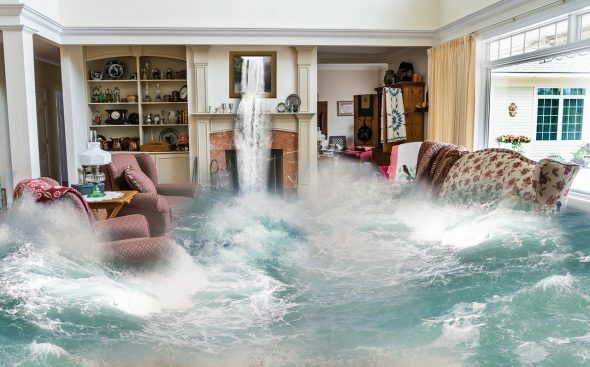 If you live near a floodplain and know that there is a chance flooding may affect your property in the future then check that your home insurance covers flood damage. In many cases, your mortgage may have required one, but it is worth checking to be safe. If your home is not on a floodplain but is relatively near water, and you feel that flooding may still pose a risk, an additional flood insurance policy cover may be necessary to protect your home. In terms of physically helping your home to stand up to the flood should one come, seal up any cracks in your foundation with hydraulic cement or masonry caulk and mortar, to strengthen the walls. It may also be worth investing in a battery-powered sump pump to help pump the water out of your house. Buying a battery-powered one means you should be able to use it even if your electricity goes out due to the flood. Installing a backwater valve can also dramatically lower the risks to your home should a flood occur, preventing raw sewage from backing up in your basement should the main sewer line become overloaded. In some states, you are legally mandated to install a backwater valve, however, if that is not the case where you live then contact Backwater Valve Toronto for more information on how to give your home greater security during a flood. 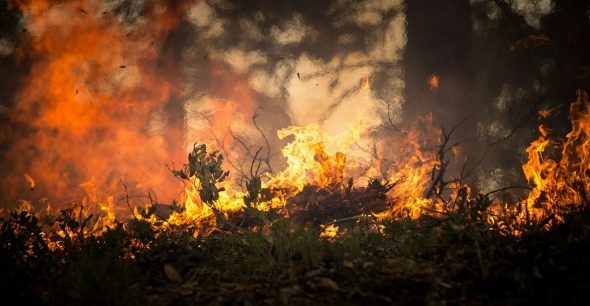 If you have ever witnessed a wildfire burning through a forest or scrubland, you will know the speed with which it can consume all that lies in its path. Wildfires can cause a huge amount of damage, and a changing climate is making them a more regular occurrence, but there are things that you can do to help protect your home. Ideally, you want to make sure you limit the ability of your home to fuel a fire. For example, if you have a wooden-roofed home then think about reroofing to a non-flammable material such as tile, asphalt, stone, metal or shingle. If you do not wish to reroof, then make sure your roof is fire retardant, and it is also wise to include a sprinkler system. Keep your property free from dead and fallen leaves, so rake your lawns and clear your gutters regularly, so there is less flammable material to catch alight. Also store any flammable materials you may have, such as gas canisters, at least 30 feet away from your house. When it comes to your garden, try to opt for hardwood trees over planting trees such as pine, as these are more fire-resistant and less likely to help the fire spread by burning quickly. 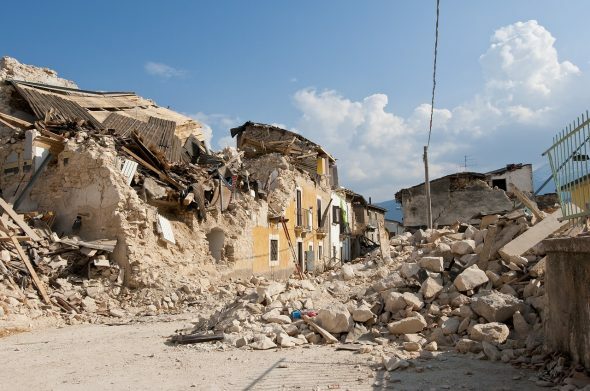 If you live in an earthquake area, be aware that earthquakes can happen without any prior warning and can vary hugely in their strength, therefore, ensure that you and your family know what to do should one occur. If you feel the ground begin to shake follow the Drop Cover Hold On approach, as recommended by earthquake experts. Drop to your hands and knees, thereby protecting your vital organs, cover your head and neck with your arm and crawl underneath a sturdy table if there is one nearby, and hold on to your head and neck, or to your shelter with one arm if it remains stable. Following this approach is vital to ensure you protect yourself during the earthquake from falling objects. Regarding protecting your home, you can enhance the walls of your home with steel or plywood panels and also add anchor bolts to the foundation to help increase its chance of staying standing during an earthquake. Changing your windows from square or rectangular windows to ones with rounded corners can help to reduce the chance of them shattering. Be sure that your heavy furniture, such as bookcases, are all attached to the walls to help them to stay upright during a quake; this includes bracing your refrigerator, washing machine and dishwasher to the wall, and any other heavy appliances you may have. 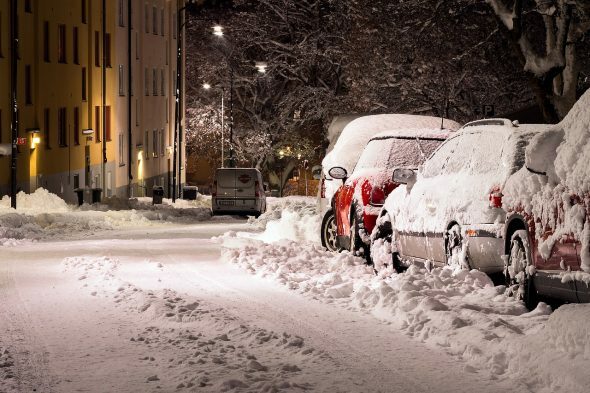 Perhaps you live in an area that is affected by heavy snowfall each winter? If so, you may think you’re used to surviving the winter months. You’ve got your snowsuits at the ready, but have you adequately prepared your home for snowstorms? Make sure that any exposed pipes are fitted with insulation to help avoid them cracking when freezing weather descends. You also should insulate the floor of your attic well to keep the heat in and make sure that if you have a storage attic, it is kept cool as this will help to avoid the snow melting and refreezing on your roof, causing water and snow damage. If you have any low hanging branches or trees near your house trim them, so if they become heavy with snow, they won’t break and crash through your roof. In every case where you fear your home may be at risk from a natural disaster, try to prepare your family for an evacuation. Keep a bag packed and easily accessible by your door with some essentials in it; include enough supplies to last you for 72 hours. Supplies such as non-perishable food items, bottled water, a torch, batteries, a first aid kit, and a battery-powered radio are all valuable during an emergency. Add swimming goggles if you are at risk of wildfire, as these can help to keep the smoke out of your eyes and allow you to get to safety with more ease. A change of clothes is also valuable, should yours become wet.